Austin Divorce Lawyer. 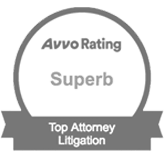 Experienced Attorney in Austin, TX | Ben Carrasco, Esq. When do I file for divorce? Can those text messages that I regretted sending be used against me in the litigation? Who will get the house? How do I find the best Austin divorce lawyer to hire? The vast majority of divorces are settled out of court. In many cases, the process is amicable. However, I have seen many divorces begin with both parties seemingly committed to a smooth resolution only to see these good intentions collapse under the emotional baggage that accompanies most break-ups–anger, greed, bitterness, jealousy, etc. 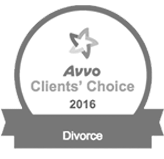 The uncertainty of divorce litigation is, in part, why it is critical to hire the best Austin divorce lawyer. You need an advocate prepared to wear any number of hats, from a facilitator who can guide a low-conflict divorce to a speedy resolution to an aggressive Austin divorce lawyer who is prepared to champion your rights when a quick settlement is not possible. Below is a description of how the Texas divorce process unfolds procedurally–the steps and requirements for filing for divorce–and the stages of the litigation process generally. Substantive issues relating to child custody and property division are critical areas that have their own dedicated pages on this site. If you’re going through a divorce, you shouldn’t select a divorce attorney on a whim. The decisions made in your divorce are likely going to affect you for a long time, especially if you have children. And because a divorce is such a highly-charged emotional time, you need a capable person in your corner, helping you get what you deserve. Carefully review these important points when considering divorce lawyers in Austin. This seems obvious, but it’s worth mentioning. The title of lawyer does not imply an expertise in all things law. You need a lawyer who focuses on family law and has significant experience in this specific area. This will ensure your lawyer is up to date on changes in the law and well qualified to handle your case. You need to feel like your divorce lawyer has your best interest in mind. Condescending talk or behavior, a rushed demeanor, and anything else unsettling should be a red flag to you. Find a lawyer who explains things in plain English, who won’t agree to unreasonable demands (especially for child custody), and with whom you generally feel comfortable. Remember, you’ll need to share personal details with your lawyer, so make sure your divorce lawyer is someone you can trust. Whether your divorce goes to trial or not, it’s normally a good idea to hire an attorney who has successful experience in the courtroom. You want someone who can successfully negotiate for you in a settlement with your spouse’s divorce lawyer or in the courtroom. In addition, ask your divorce lawyer if he or she is familiar with the family law judges in your jurisdiction. This knowledge will help your lawyer adapt the strategy of your case for the greatest chance of success. Spend time reading online reviews about the attorney you’re considering. You’ll get a good feel for the attorney’s experience and background as well as strengths and weaknesses, and you’ll be able to determine how those strengths will work in your favor. Once you realize the divorce is going to happen, start researching divorce lawyers. Otherwise, you may end up in a high-pressure situation when you are served papers and have no idea where to begin. What percentage of cases do you settle? How do you approach settlements? Who in your firm will work on my case? What is your success rate in court? Consider how the lawyer responds to your questions. Did he or she brush off any questions? Did he or she seem interested and attentive? Were you happy with the answers? In Texas, a divorce suit begins when one spouse files a petition for divorce. The spouse filing the petition is referred to as the petitioner and the opposing spouse is referred to as the respondent. To maintain a divorce suit in Texas, certain residency requirements must be satisfied. At the time the suit is filed by your Austin divorce lawyer, either the petitioner or the respondent must have been a Texas resident for the preceding six-month period and a resident of the county in which the suit is filed for the preceding 90-day period. Once the respondent is served with the petition, he or she will have approximately twenty days to file a written answer to the petition. A divorce suit must be on file for at least 60 days before the court may grant a divorce. In addition to no-fault grounds, a petitioner (or the respondent if he or she files a counter-petition for divorce) may seek a divorce on fault grounds. Available fault grounds include cruelty, adultery, abandonment, and felony conviction and imprisonment of a spouse. Fault and no-fault grounds can be alleged together in the same petition. Proving a fault ground can impact how the court decides other issues in the divorce, including child custody and property division. For example, if you can prove that your spouse committed adultery or abused you during the marriage, the court can award you a larger share of the community property. I am frequently asked whether a spouse’s conduct during a period of “separation” is relevant once a party files for divorce. The answer is “yes.” Texas does not recognize legal separation. You and your spouse are married until a final decree of divorce is entered by a court. This means, for example, that being romantically involved with someone other than your spouse while “separated” constitutes adultery under Texas law and can be used against you in a future divorce proceeding. Once the petition and answer are filed, the next stage in the divorce process is the entry of temporary orders. Temporary orders can happen relatively quickly–within a week of when the divorce petition is filed. Temporary orders in family law litigation are orders issued by the court following a hearing that govern custody and support of the children, the preservation and protection of the parties’ property, and the parties’ interaction with each other while the divorce is pending. Given that divorce litigation can last for months, if not years, this is a critical phase in the divorce process. For example, temporary orders can prohibit the parties from hiding or selling assets, raiding the checking account, shutting off the utilities, or removing the children from the county where the divorce is pending. If you’re the less monied spouse–perhaps a stay-at-home mom–and don’t have access to your spouse’s assets to pay an Austin divorce lawyer, the court can order the monied spouse to pay your reasonable attorney’s fees while the divorce is pending. As any good Austin divorce lawyer will tell you, temporary orders are important because temporary orders have a tendency to become final orders, meaning that the court’s final orders with respect to property, child support, child custody, and other issues often mirror the temporary orders. A temporary orders hearing is not necessary in every case. However, because of the gravity of the stakes in a temporary orders hearing–the results of which can impact the entire trajectory of your case–hiring the best Austin divorce lawyer with strong courtroom skills is vital. Surprisingly, many divorce lawyers are fearful of the courtroom and try desperately to avoid it. These type of divorce attorneys will push you to reach a negotiated settlement on the eve of your hearing on terms that might not be in your best interest. Aside from being intimidated by the courtroom, some divorce lawyers run high-volume, assembly-line practices and are incentivized to finalize your case as quickly as possible. As a result, they don’t have the time or inclination to properly prepare for contested hearings where they might actually be required to make arguments, present evidence, and cross-examine witnesses. I do not run that kind of practice. I approach every case with the expectation that it will involve a contested hearing and prepare accordingly. Requiring a sworn inventory and appraisement of all real and personal property owned or claimed by the parties, and a list of all debts and liabilities owed by the parties. Requiring temporary support of either spouse. 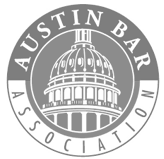 Requiring the payment of Austin divorce lawyer fees and expenses. Awarding one spouse exclusive occupancy of the residence during the pendency of the case. Prohibiting one or both parties from spending funds beyond what the court determines to be for reasonable and necessary living expenses. Awarding one spouse exclusive control of a party’s usual business or occupation. In addition to the foregoing relief, a court may issue temporary orders restraining the parties from destroying the parties’ tangible property, communicating by telephone or in writing in a profane manner, making threats of bodily injury, among other relief. If child custody is an issue in the divorce, the court will enter temporary orders regarding custody of the children, child support, and visitation during the pendency of the case. The above list of potential orders is not exclusive. The court has broad discretion to enter any order necessary to protect the parties, property, and children during the litigation. A temporary orders hearing is like a mini-trial. Each party will be permitted to testify and put on evidence, including witnesses, regarding the matters at issue. In a child custody case, for example, a party may call family members, friends, neighbors, teachers, etc. to testify regarding a party’s parenting abilities and relationship with the children. The key distinction between a temporary orders hearing and a final trial is the element of surprise. Because a temporary orders hearing can occur within days after the divorce petition is filed, the parties haven’t had an opportunity to conduct discovery and determine what evidence exists to support the other side’s case. As a result, a temporary orders hearing can be a trial by ambush. You don’t know what witnesses your spouse will bring to the hearing, much less what these people might say about your character and fitness as a parent. You don’t know what text messages, e-mails or other evidence might be used to impeach your credibility. After the initial divorce petition and answer are filed, discovery is the next important stage in the litigation process. Discovery is the process whereby both sides, using various discovery tools such as document requests and depositions, gather and exchange relevant information about the case. And in a divorce case, particularly if children are involved, just about everything pertaining to your life is relevant–phone records, e-mails, text messages, sexual history, drug use, photographs, and social media postings (Facebook, Twitter) are all fair game. Discovery is also used to identify the parties’ assets and liabilities—tax returns and bank records are obvious discovery targets in this context. Conducting proper discovery is invasive and costly. But it is essential to gathering the information necessary to properly evaluate the merits of the parties’ respective claims and defenses, minimizing the potential for surprises at trial, and determining whether settlement is appropriate. When used strategically, discovery can help a party achieve critical bargaining leverage and bring about a quick settlement. I have seen parties capitulate and settle early on in a case rather than submit to the cost and inconvenience of producing reams of sensitive documents or sitting for a six hour deposition. At some point during the litigation, the parties will typically explore the possibility of settlement. In fact, the vast majority of divorce cases are settled before a final trial. If the parties can reach agreement on the issues, the divorce attorneys involved can prepare a written settlement agreement that is presented to the court for incorporation in the final divorce decree. The parties may also elect to participate in mediation to resolve their case. Mediation is a forum in which an impartial person—the divorce mediator—assists the parties in coming to an agreement that resolves some or all of the issues in dispute. In some Texas counties, including Travis County, divorce mediation is mandatory before a final trial. If the parties cannot resolve their issues through mediation, the next step is a final trial before a judge or jury. In a divorce suit, either party may demand a jury trial. A jury can decide custody of the children as well as the characterization and valuation of property. Whether a jury trial is preferable to a bench trial (where the judge decides the outcome) necessarily depends on the facts of your case and the amount of money you’re willing to spend. If you are contemplating a divorce, or have been served with a divorce petition, contact Austin Divorce Lawyer, Ben Carrasco. Call 512.320.9126 or fill out the form below to get started. How Is Property Divided in a Divorce in Texas? ©2019 Law Office of Ben Carrasco. Disclaimer: Reading information on this website does not constitute the formation of an attorney-client relationship with our firm. Nor does calling us, emailing us, chatting us, or otherwise contacting us. We only enter into attorney-client relationships with people who meet with our firm and sign a formal, written agreement with us. None of the information on this website is intended to be legal advice.